This antioxidant cocktail regenerates skin at a deep cellular level. Skin is left firm, strong and protected from damaging environmental aggressors. Defends skin against free radical damage. Contains a 12% Vitamin C base. Green Tea and Vitamin E help to retain hydration within skin. Use daily in the AM on clean skin before daily hydrator: Pump once into palm. Apply using quick upward, outward strokes to face, eye area, neck and décolleté. Agua (Distilled Water), Hamamelis Virginiana (Witch Hazel) Extract, Glycine Soja (Soybean) Protein, Resveratrol, Glycerin*, Glutathione, Superoxide Dismutase, D-alpha-tocopherol (Vitamin E), Cassia Angustifolia Seed, Polysaccharide, Epigallocatechin Gallate (EGCG), Aminoguanidine, Citric Acid, D-glucosamine, L-carnosine, L-glutathione, Whey Protein, Fullersomes, Santalum Album (Sandalwood) Oil, Camellia Senesis (Green Tea) Extract, Beta-glycan, Peumus Boldus (D-boldine) Leaf Extract, Aloe Barbadensis Leaf Juice*, D20 (Heavy Water), Grapefruit (Citrus Grandis) Seed Extract. This definitely impacts the overall glow of my skin. I will never be without it again. 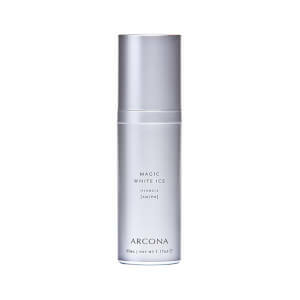 I like this serum more than Youth serum from Arcona because it is color-free and is very easy to apply. It is rather gel than liquid but not sticky and absorbs very quickly. My skin likes this product. There is a slight lifitng with this product. Combined with the firming serum, I am hoping that with continual use I will see significant improvement in my neck and jaw. This was a decent, lightweight serum that absorbed quickly into my skin. However, I just don't feel that it benefited my skin in any way to justify its cost. I was not expecting anything amazing by way of effect, but this serum did literally nothing. It absorbed into my skin and provided no softening or brightening. I really wanted to love this product based on such positive previous reviews, but I felt that it really didn't provide my combo skin with any benefit at all. The serum didn't really have any fragrance which was nice, but I think that there may be better (and cheaper) serum options out there for me instead. I was addicted to Skinceuticals CE Ferulic, which was gret when I could get it at wholesale prices. After realizing that I would be shelling out $140 for the serum I realized I HAD to find a cheaper but (hopefully) equally effective alternative. LOOK NO FURTHER! This is one of the best products I've ever used. I received it as a sample and thought what the heck. Within in days I was hooked and now cannot bear one day without this precious jewel. My skin is glowing and smooth and just feels happy. It brought balance to my freaking out skin with no greasy feel. My make up goes on better (and i use less) and it smells heavenly. Arcona is the most amazing brand ever. Anyone who understands anything about ingredients will understand that Arcona is the most advance company out there. This serum is just a brilliant cocktail of anti aging. I can't go out the door without it. I think anyone serious about the future of their skin should buy that product. I've used this serum nearly every morning for a few years now, and am thrilled that skinstore.com is now carrying it! I adore this serum - check out the ingredients list -- it contains everything my skin needs/wants to get me started for the day. It absorbs very quickly without leaving any residue or stickiness whatsoever, just a nice firming clean sensation on my combination skin. 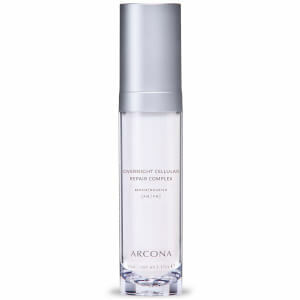 It smells terrific and my skin has glowed since I started using this and other ARCONA products a few years ago. I only need a translucent powder with undereye concealer in the summertime, my skin looks so great (I use a sheer foundation in the winter just to protect my skin from the harsh elements outdoors). My skin is combination and this serum doesn't add any moisture so I can actually apply a moisturizer over this even in the hot & humid DC summers, which I love. Best purchase I make every few months, for sure.